We collect personal data that you provide to us by filling out contact forms or job application forms on our website, or that you provide through direct email or phone contact with us. We use these data to respond to your request and provide our services to you, for example giving you a quote, sending you edited files for checking, or inviting you to a job interview. If you are an author or editor of a document or journal we are processing on behalf of one of our clients, our client may pass us some limited personal information about you such as your email address and phone number. This is so that we can, for example, notify you of the status of your manuscript, send you proofs for checking, and ask you about anything that is unclear during editing. If you provide us with updated or additional personal information (e.g. a new email address) we may, with your permission, pass this on to our client. Cookies are small text files passed from our server to your computer via your browser. No personal information is sent to us through these cookies. You can configure most web browsers to decline cookies or warn you before accepting them. When you visit our website, our server also automatically collects certain information for security reasons. This includes data such as your apparent IP address and approximate geographical location. This helps us to detect and block malicious users trying to attack our website. We use Google Analytics to provide us with general information about our users and to help create a better user experience. Cookies allow Google to recognise you when you visit our website and other websites. We take reasonable measures to prevent linking of information we receive from Google with any of your personally identifiable information. Articles on this site may include embedded content (e.g. videos, images, articles). Embedded content from other websites behaves in the exact same way as if the visitor has visited the other website. We do not control what data these other websites gather or track. We share data automatically collected from our website with our suppliers of security and analytics services (such as Google Analytics) so that they can be processed to give us the information described under ‘Analytics’, above. Data provided to us as part of our contracted work are processed according to our clients’ instructions and are treated as confidential to the client. We will only share them if instructed to do so by our client, and only to the recipients specified by our client. Google Analytics and security data are deleted after 26 months. Data provided to us as part of our contracted work are retained for the time agreed in the relevant contract, or indefinitely if this is not specified in the contract. This is so that we can assist clients and past clients with queries regarding previous work we have done for them. You can request to receive a file of the personal data we hold about you, including any data you have provided to us. You can also request that we erase any personal data we hold about you. We will, however, retain any data we are obliged to keep for administrative, legal, or security purposes, or data we need to fulfil our contracted work. To request a copy of your personal data, or ask for us to delete your personal data, please use our contact form. 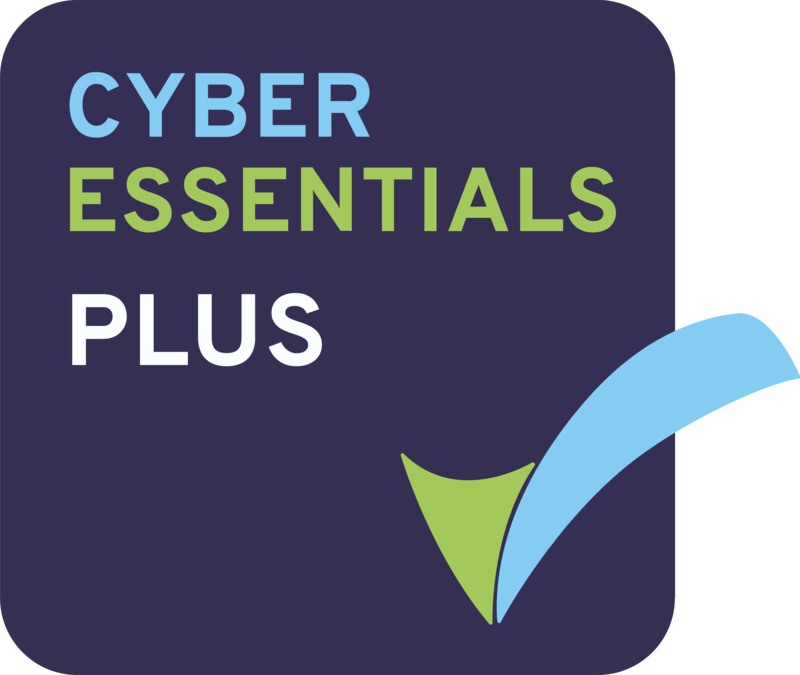 We have a current Cyber Essentials Plus certification showing that we meet UK government standards for data security in five areas: correct firewall setup, secure configuration of our networks and systems, access restrictions, protection against malware, and keeping software up to date. We store your data on secure UK-based servers that are backed up frequently. Offsite backups are stored in a secure data centre (certified to ISO 27001) in the Netherlands. All our staff are aware of the importance of confidentiality and data protection. We have an established staff with low turnover, and all staff sign a confidentiality agreement on starting with us. If a client requires a specific confidentiality agreement, our staff sign that too.